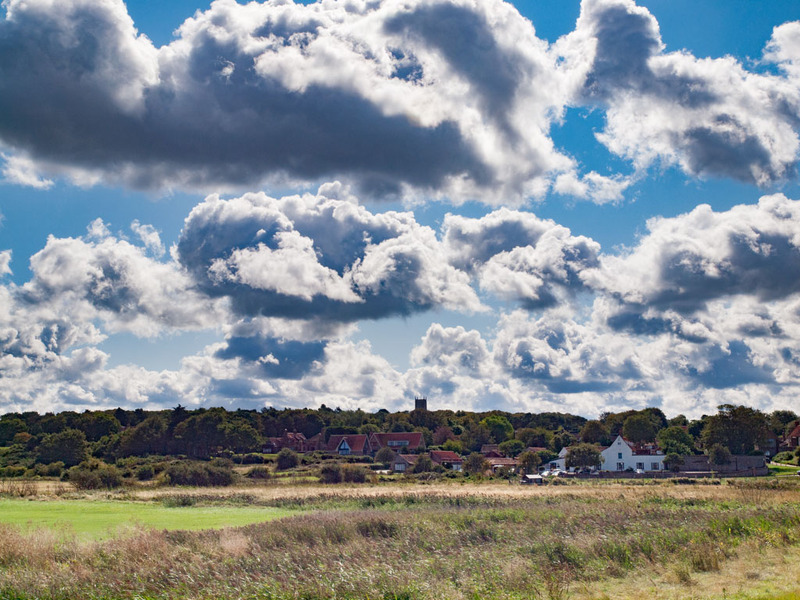 At the beginning of September, my wife and I spent a week on the north coast of Norfolk (the English county). 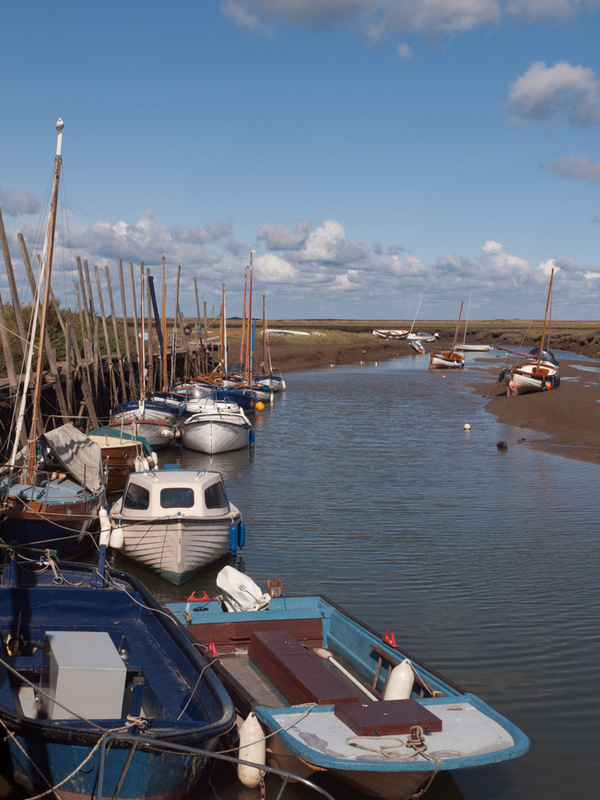 As usual, I took a few shots of the local area, including Blakeney Quay, which these days is home to small sailing boats. The whole area is mainly marshland along the coastal strip and can be rather bleak. On our last day, we saw an exhibition of (mainly) wildlife photographs by a local photographer. 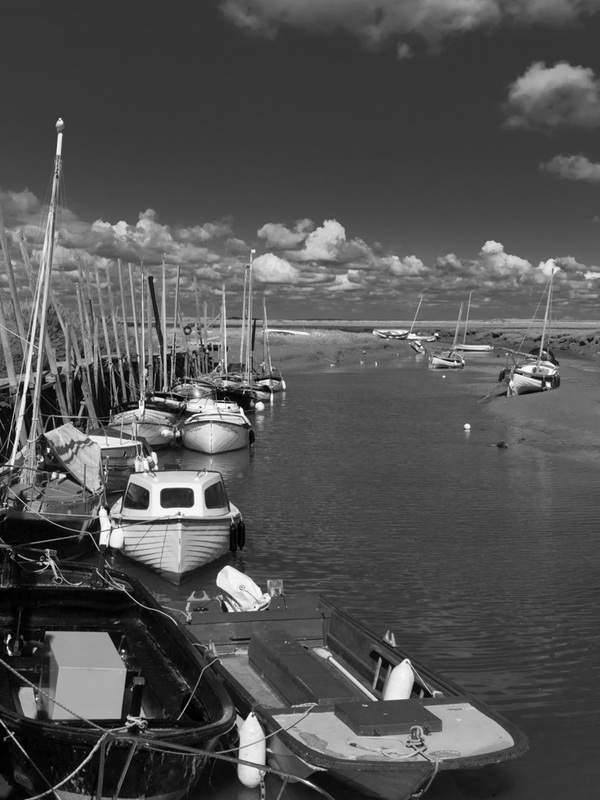 Among his portfolio were very similar shots to the ones I took in Blakeney, except that they were in black and white. That got me thinking. I use Lightroom 6 to do any post-processing and haven't made much, if any, use of its black-and-white features. I tried it on some of my shots and was pleasantly surprised by the results, two of which are here. I've included the colour versions for comparison. Any comments or suggestions would be favourably welcomed. E-30, 12-60 SWD, 50-200 SWD, EC-20, FL-36R. The visual interest in the first picture starts with the silhouette of the castle against the skyline, but there is no real context for it in the B&W, which loses any detail of the other buildings. It's a bit better in the color version, but still difficult to make much out. Perhaps an HDR treatment would provide some of the missing detail. I prefer your 2nd b&w photo as it has a more pleasing tonal contrast (for me). The 1st image has very strong tonal contrast in the clouds. So much so that it overpowers the landscape below it. Cropping a portion of the clouds might help but it won't improve the landscape which (to me) lacks enough tonal contrast and detail to balance the sky. So you want to be a better photographer? Open your eyes and take a look at what is all around you. Thanks for the comments. I have to admit that I have done little, if any, black-and-white processing for a very long time. Any I have done has been to old photographs I've scanned and cleaned up. In the first photo, I was concentrating more on the rather dramatic clouds, which was, unfortunately, at the expense of the background detail. There is some detail there (isn't RAW wonderful? ), and it's worth having another play with it. The tower, by the way, is Blakeney Parish Church. 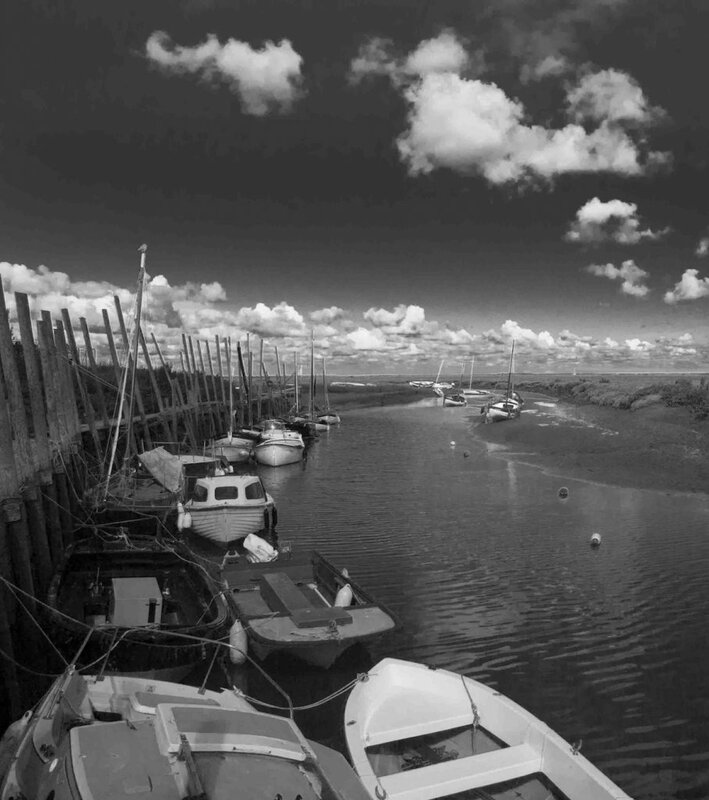 I see what you mean about the foreground boat, Phil, is does make the foreground a bit messy. I've attached a cropped landscape shot from a bit further back, which I think solves that particular problem. As for HDR Brian, I've never really been much of a fan. I know a lot of professionals use it to enhance landscape shots in particular, but the effect is often something I imagine the view might look like after taking an illegal substance. Buoyed by your collective comments, I'll probably do a bit more black-and-white processing in future. Thanks again.